Ever wanted to run your electric car for free? If you're open to a bit of give and take, then stay plugged in and your wishes might come true. At least that's what some European power companies and Japanese carmakers believe. E.ON and EDF are already working with Nissan to develop services that allow power stored in electric vehicle batteries to be sold back to the grid. Now, they're trying to persuade European carmakers to follow suit. With millions of electric cars expected on European roads over the next decade, utilities see both an opportunity to sell drivers more electricity and a risk that surges in charging at peak times could destabilize stressed power grids. French utility EDF has teamed up with California-based V2G technology specialist Nuvve to build the first commercial-scale V2G charging network in Europe for vehicles made by Japan's Nissan and Mitsubishi. Europe's biggest utility by market value, Italy's Enel, has also worked with Nissan and Nuvve on V2G pilots in Denmark and the Netherlands, as well as in Rome and Genoa. The problem for the utilities is that unlike Nissan, the French and German companies that will make most of the electric cars expected to be on Europe's roads in coming years are not cooperating - at least for now. E.ON and EDF are talking to European carmakers about taking V2G seriously, according to two industry sources, but they are more focused on EV charging technology that the sources said is less suited to two-way flows than Japanese standards. IONITY, a joint venture of Volkswagen, Daimler, BMW and Ford, said it did not see an initial case for V2G in its drive to set up high-speed charging stations across Europe to facilitate long-distance journeys. The other big V2G holdout is EV pioneer Tesla, which also sells large stationary batteries for home power storage. Tesla declined to comment on V2G. The idea of using millions of EV batteries as large virtual power plants to put power back into the grid has been around for years, although the concept is still mostly at the pilot stage, mainly because there are very few EVs on the roads now. But its appeal to the power industry is obvious. With a typical car driving less than 10 percent of the day, the rest of the time car batteries could be used to balance demand and supply swings in energy networks that increasingly need to juggle intermittent solar and wind power. That's the case in Germany in particular as it is phasing out baseload nuclear and coal-fired plants, unlike France and Japan, which are sticking with nuclear to ensure a secure supply. Jonathan Tudor, director of technology strategy at the innovation division of Britain's biggest utility, Centrica, said V2G will be part of the mix of technologies stabilizing networks - once more EVs hit the road. Alberto Piglia, global head of e-mobility at Enel, said that as the EV market grows exponentially, there will be a tipping point at which there will be an explosion of related energy services. "We are preparing the world for this." The IONITY e-mobility joint venture, meanwhile, is focused on establishing the Combined Charging System (CCS) plug as the industry standard. But experts said the communication protocol between CCS chargers and EV batteries is not being set up currently in way that allows rapid changes in two-way information flows to charge and discharge electricity. Rather, CCS is being developed so EV owners can charge vehicles as fast as possible, to encourage the acceptance of electric cars by drivers reluctant to give up the convenience of quickly filling up vehicles with gasoline. China, the world's biggest market for EVs, also has V2G in mind. 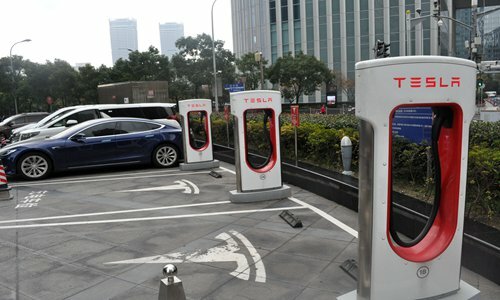 China's own GB/T standard is not well-suited to V2G but the China Electricity Council struck an agreement with Japan's CHAdeMo Association last year to develop a common fast-charging plug that should handle rapid two-way flows. But at a time when global infrastructure standards for EVs have yet to be established, German carmakers are reluctant to give up on the technology they have invested in, nor cede too much control over their vehicle components to utilities, which is something that V2G effectively requires them to do.